While overall the brand and its experience should be a constant across geographies, one needs to tweak elements of the marketing and service mix to suit the needs of the local market. Building brand affinity can be enhanced by adding an element of comfort and familiarity in the branding and space design in order to connect emotionally with your consumers. 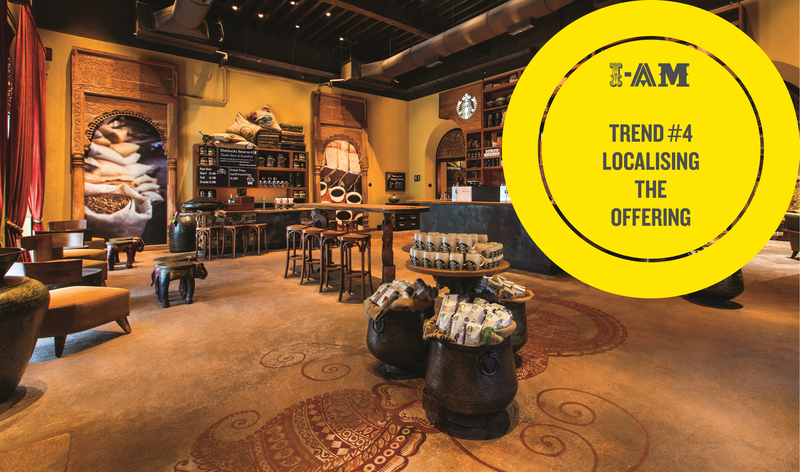 Starbucks adds an element of localisation not only in tweaking its product offering to suits local market sensitivities and tastes but also infuses local cultural elements within its retail space enhancing the consumer’s comfort levels while encouraging repeat visits. Keep watching this space for 2016’s Branding and Retail’s last trend #5.